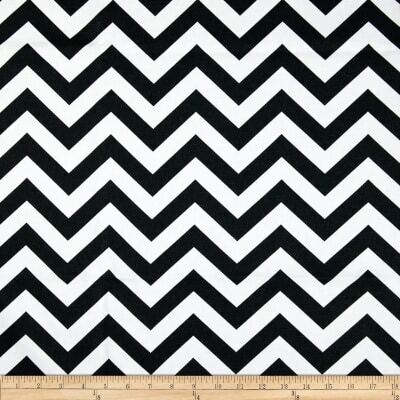 Premier Prints Zig Zag Black/White is rated 4.3 out of 5 by 3. 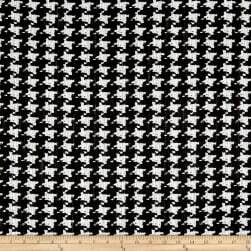 Description: Screen printed on cotton duck, this versatile medium-weight fabric is perfect for window accents (draperies, valances, curtains, and swags), toss pillows, bed skirts, duvet covers, slipcovers, and more! Colors include black and white. Washing Instructions: *Use cold water and mild detergent (Woolite). Drying is NOT recommended - Air Dry Only - Do not Dry Clean. Rated 4 out of 5 by sewingwithasmile from Nice fabric This print is very eye-catching- as I was working on it, and looked from across the room, the eye is drawn to it. 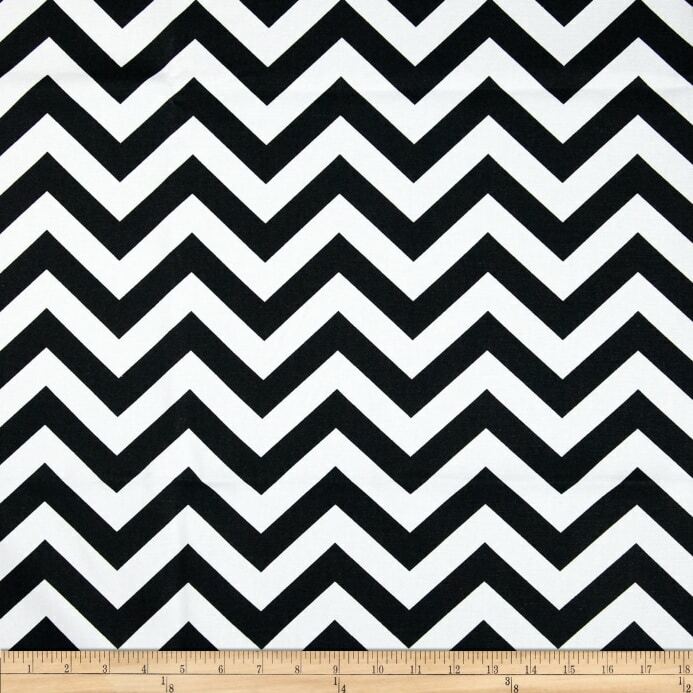 I sell handmade home decor items, (mostly pillows) and this fabric has been a popular choice so far. I had to iron it on medium-heat when it arrived because it was wrinkled, and the colors did not bleed at all. Rated 4 out of 5 by bxg824 from Great for the price - but some minor things to consider Love the boldness of this fabric. It is a great weight and easy to sew. However there are a few issues: 1. Why does this fabric (along w/ all others on fabric.com) state under Country of Origin "Made in USA or Imported". That is really lame. This fabric is made in USA... they should make this clear. 2. This fabric does not wash well - so use it for something that you don't plan to get dirty. 3. 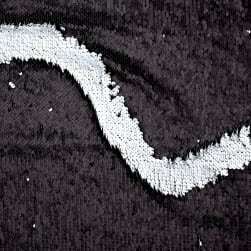 Black color bleeds onto white when ironing, so be sure to use a pressing cloth if you need to iron it. Rated 5 out of 5 by crwendel from Bold! I got this fabric for curtains in my daughter's room. It is a nice, heavier weight fabric that looks great. We do sell samples of most of our fabrics. Look for the "Order Swatch" button associated with each fabric. This will indicate if a swatch is available for that particular fabric or not. Because many of the fabrics we stock are non reorderable and are "special purchases", there is the possibility that a fabric could sell out by the time you receive your swatch. Our Design Wall allows you to see how fabrics look together. You can add multiple fabric images to the Design Wall, rearrange them, view them next to or on top of each other, and add them all to your cart from one convenient window. This item is a Non Reorderable item, meaning we can not order more of it. "Almost Sold Out" means the quantity available is running low. If you want to be sure you are able to get this item, we would encourage you to order it now, as it may become unavailable in the very near future. Many of the items we purchase come to us from well known brand name design houses. This is first quality merchandise that we purchase at significant discounts and which we therefore are able to offer to you at remarkably low prices. A consequence of buying this Special Purchase merchandise is that we cannot reorder. So, when we are sold out, we will not be able to order any more. Look for our Special Purchase Icon as a sign of incredible savings for you, but also know that you should act quickly to be sure you don’t miss out. If the quantity available is running low and you want to be sure you are able to get this item, we would encourage you to order it now, as it may become unavailable in the very near future. A Reorderable Product is one that we attempt to maintain in stock at all times. Occasionally, our supplier may be out of stock, causing us to be in a temporary backorder inventory position. In that case, you will see the ETA (estimated time of arrival), indicating our best estimate of when it should arrive at our warehouse. Some reorderable products are available for backorder. If you would like to backorder this item, simply select your quantity and Add to Cart and this item will be automatically placed on backorder for you and shipped when available. You will not be charged for this item until it is shipped and you will not be charged additional shipping. It is very important to treat/ wash your new fabrics exactly as you plan to treat/wash them after the garment or home décor item is made. Even dry cleaning can produce some shrinkage. We recommend you test a 4" x 4" square of your new fabric if you are at all unsure how it will react to your chosen laundering method. If you always test the same sized square, you will be able to check the percentage of shrinkage. 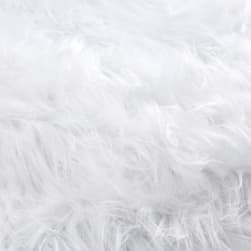 Description: From Shannon Fabrics, this super soft high quality faux fur fabric has a 100mm long lustrous pile. It's perfect for stuffed animals, faux fur jackets and vests, pillows and throws. Colors include black with slightly metallic accents.